Change isn’t always easy or wanted. Your life is your own, and being told what to do isn’t your favorite thing in the world. We get it. We want people to be free to do all the things they love! But that’s a big part of why we’re in the podiatry business in the first place. When people have lasting foot pain, it ends up dictating their life in a ton of negative ways. From the very start of the day when you hesitate to set your feet on the floor, to a distracting ache at work, to hanging up that evening jog, it all adds up. 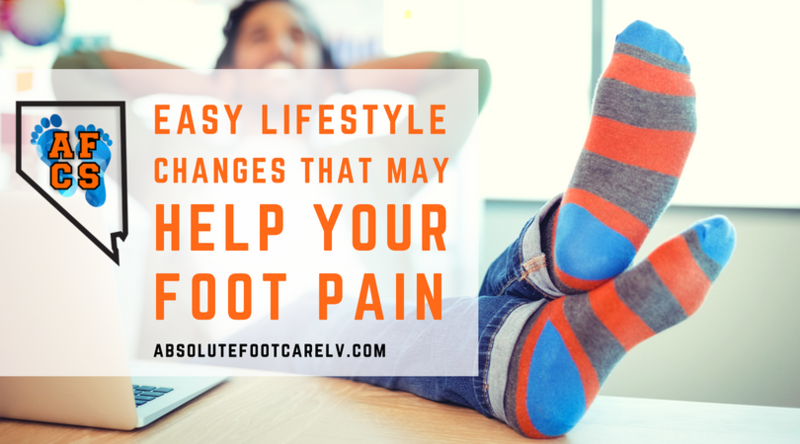 Foot pain can keep you from the things you enjoy and keep you from fully enjoying anything else. If there were some easy things you could try to help ease your foot pain, aren’t they worth a try over letting things continue as they are? You have true control in only one of these situations. Foot pain can arise from a multitude of different causes, from sports injuries to biomechanics. In each case, different lifestyle changes will have different levels of effectiveness. Ultimately, the most direct and effective option for addressing foot and ankle pain is to receive expert diagnosis and care at Absolute Foot Care Specialists. While some of the methods we will go on to discuss may help, they offer no guarantee of complete resolution, or that pain won’t return. Thanks for your understanding. Now let’s dive into some potentially pain-reducing changes. This one might sound obvious, but we see old and ill-fitting shoes causing patients complications all the time! A pair of shoes you’ve had forever can feel very comfortable in a psychological sense, but both they and your feet change over time. The supporting structures of shoes wear out over time, certainly, but waiting until the soles are flopping and your toes are sticking out is waiting too long. One way to tell whether your shoes are losing support is to set them on a flat surface. If they lean to one side, they’re breaking down—it’s time to get a new pair. The outside of the heel tends to wear out first. When looking for a new pair of shoes, have your feet measured if it’s been 10 years or so since your last fitting. Even past our teens, the size and shape of our feet will change with age, so the size you think you’ve always been might no longer be the size you are. While you’re having yourself measured, rely on the help of a shoe store associate to net you a good, comfortable pair of shoes! If you don’t have one, look for shoes with good cushioning, a stiff heel counter, and flexibility at the ball of the foot. You should have a half-inch of space from your longest toe to the shoetip and—most importantly—the shoes should feel comfortable as soon as you wear them. Having to break in a shoe means it’s the wrong shoe. Having a great pair of shoes will take you far. Having more than one will take you farther. Wearing the same pair of shoes every day not only accelerates their wear, but can pave the way for further problems as well. When using the same shoes every day, it helps add to the repetitive stress being placed on your feet. Switching to another pair will slightly change the way your foot and ankle muscles engage with them, which can feel like a fresh start. Switching shoes every other day can help, but you might also feel benefits by switching shoes midway through the day! 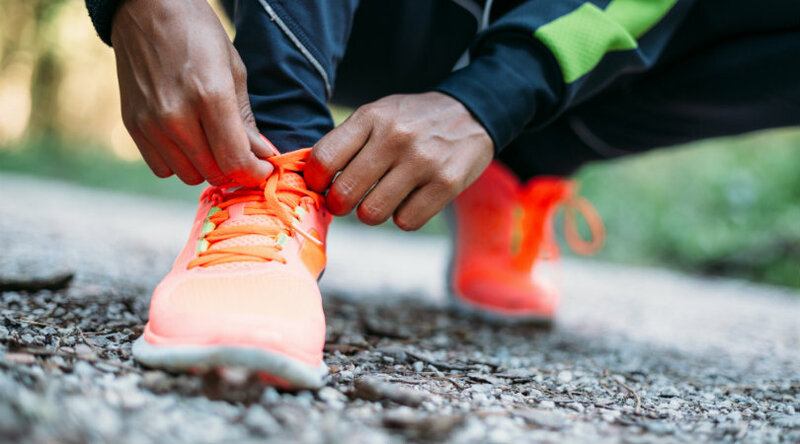 Additionally, keeping your feet stuck inside the same pair every day helps create a damp, dark environment where fungus that causes athletes foot and fungal nails loves to thrive. Switching shoes gives them more time to air out. 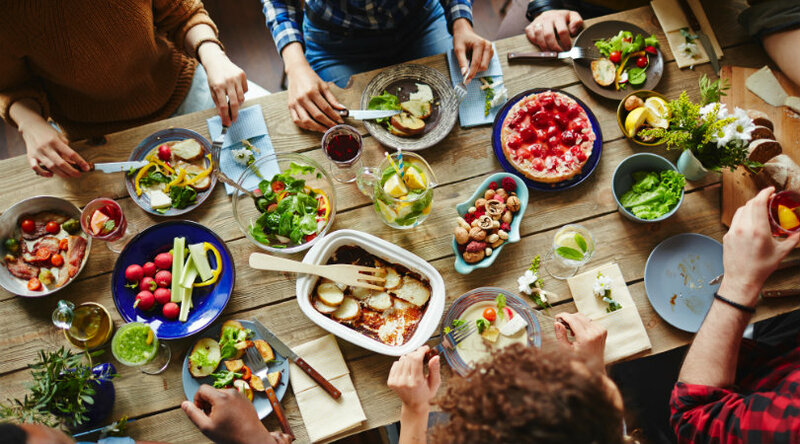 Yes, what you eat does affect your feet! Certain foods can play a factor in the severity of inflammation in the body. For the feet, this type of inflammation can center in an arthritic condition or, as a common cause of heel pain, plantar fasciitis. A healthy diet can also reduce excess weight, which can take significant stress off your feet on a daily basis. It may not feel like your walk needs any adjustment, but it can be surprising how often we might fall into patterns of slumping and foot-dragging during the day. Are you walking with head up, back straight, and arms relaxed and free to your sides? When you walk, do you step out on your heel, move forward with most force on the outside of your foot, and complete by pushing off on the big toe? Being mindful of your gait from time to time can help you avoid imbalances that may lead to pain. It can also help you identify potential problems that may benefit from orthotics. To consider any sort of change in your life takes a commendable amount of determination, and we applaud you if you give one of the above or others a try. We hope you find some relief through them but, as said before, not everything may work for everyone. If you are still having foot pain after trying to address it, it’s time to see a professional for more advanced treatment. Dr. Noah Levine at Absolute Foot Care Specialists will take the time to get to the root of your problem and discuss with you the best courses of managing and treating it for good. Our Las Vegas offices are ready to make an appointment with you. Give us a call at (702) 839-2010 or fill out our online form to have one of our staff get back to you.